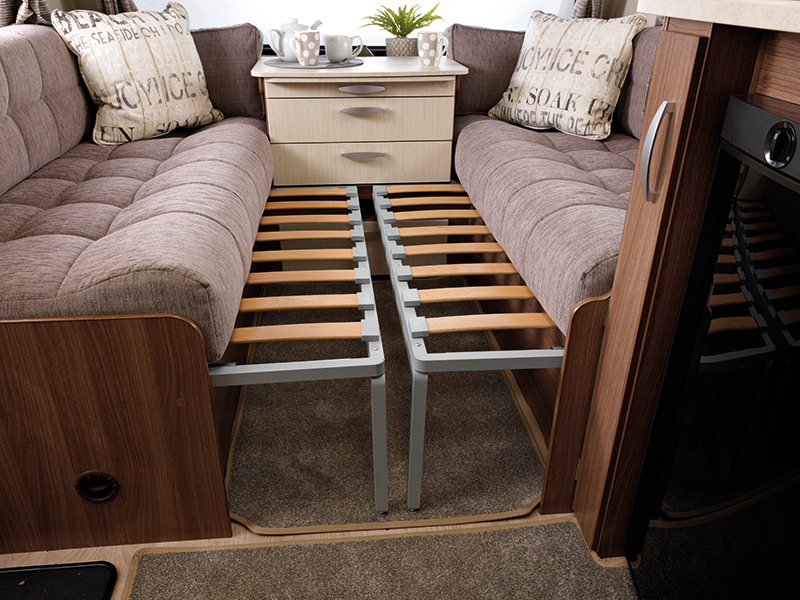 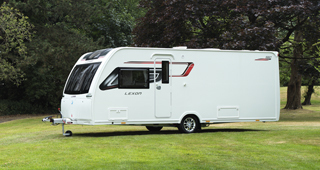 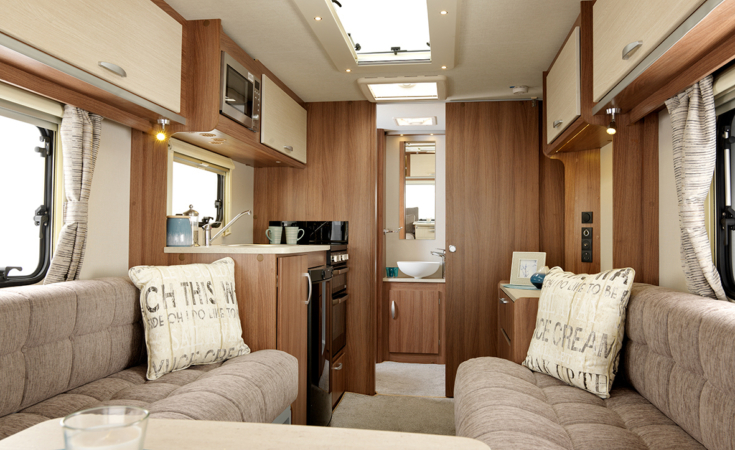 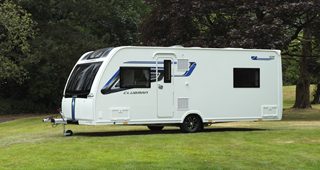 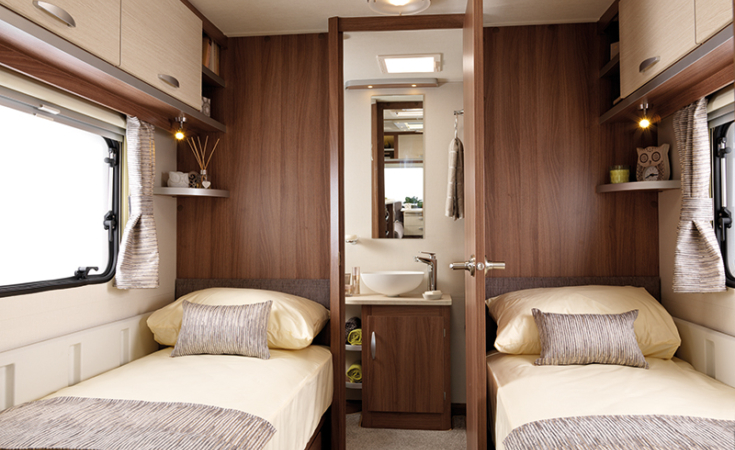 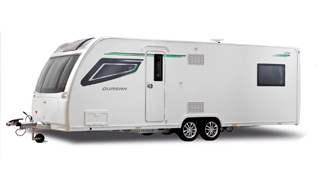 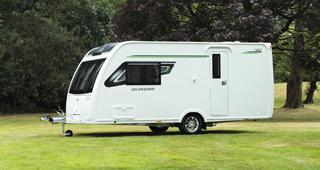 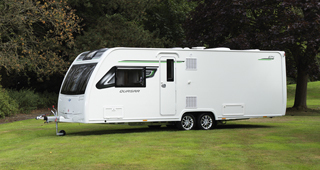 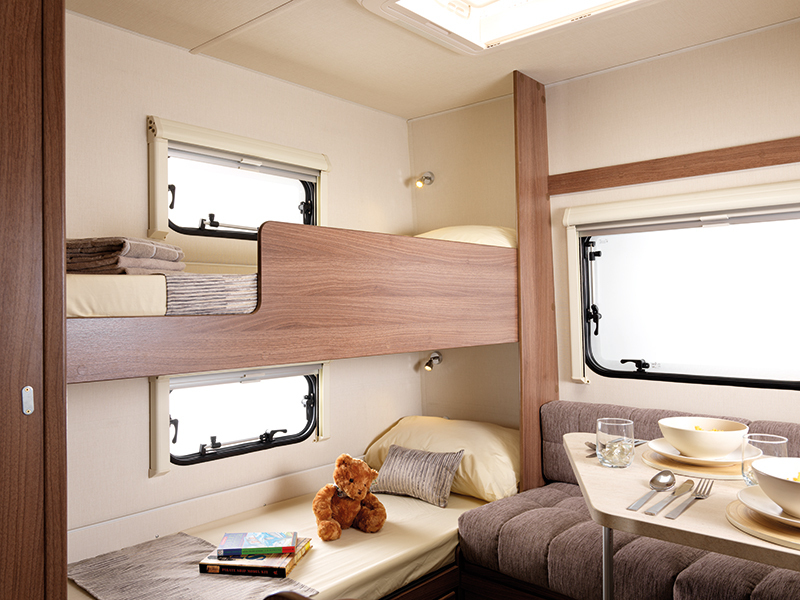 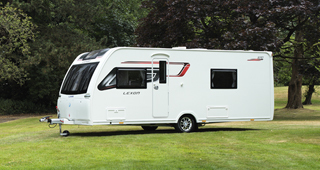 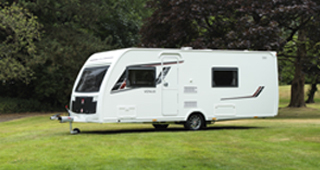 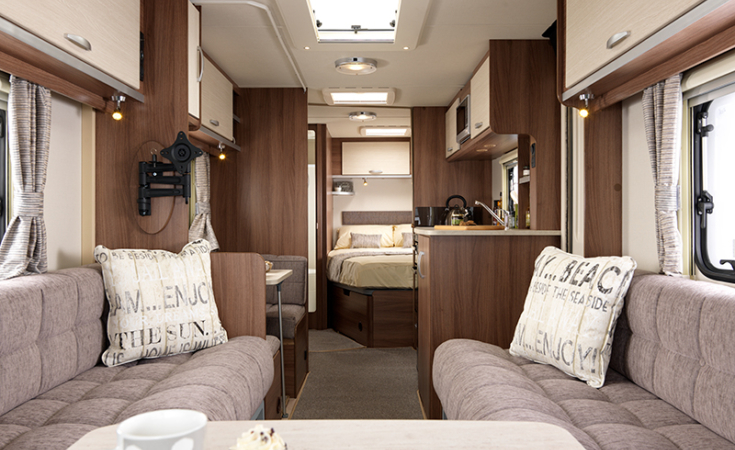 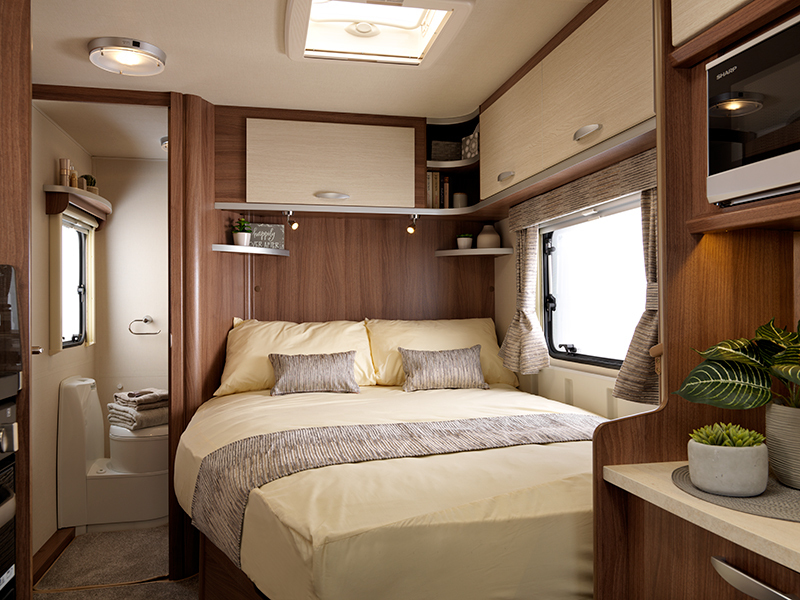 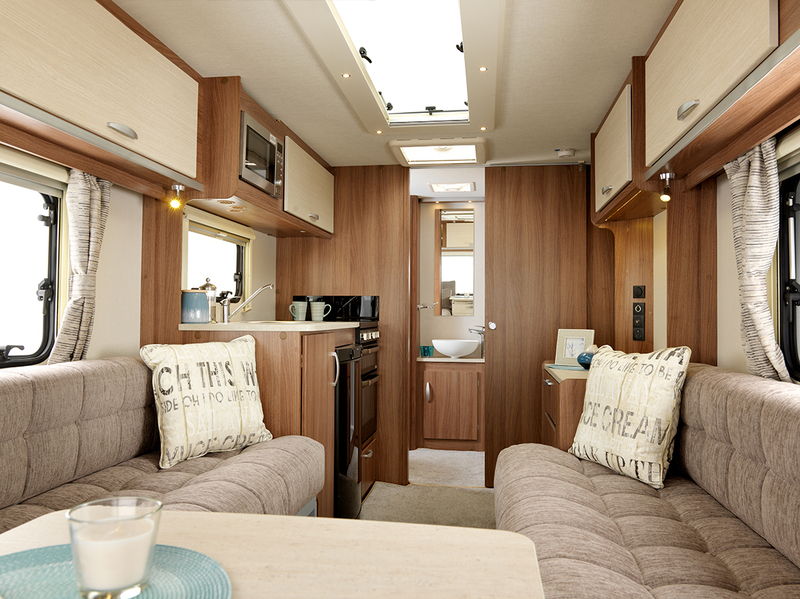 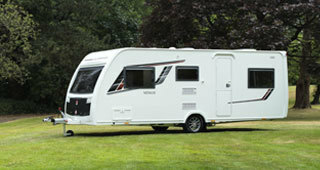 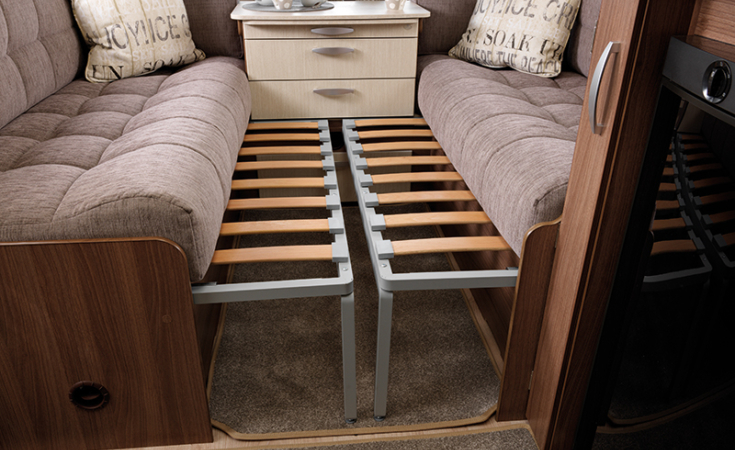 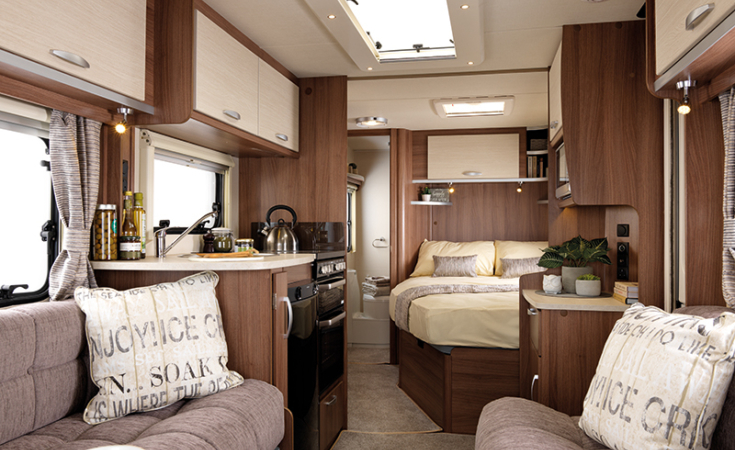 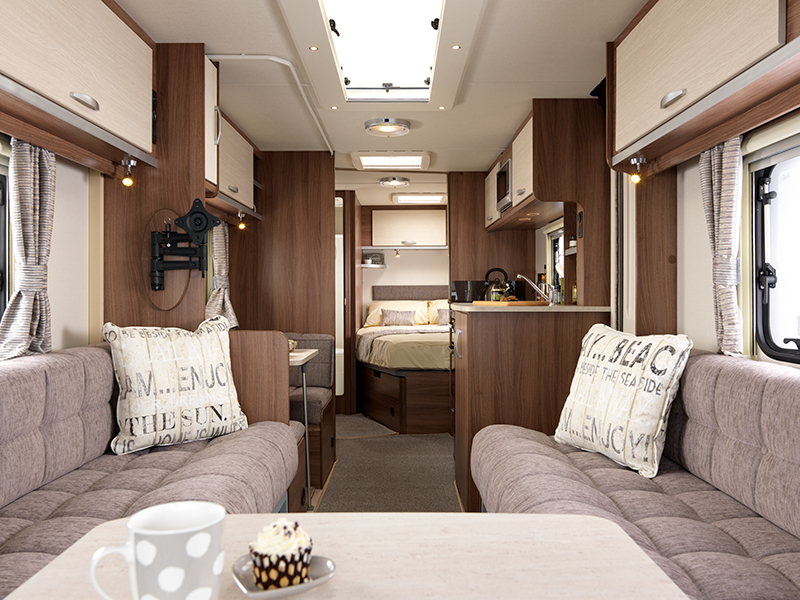 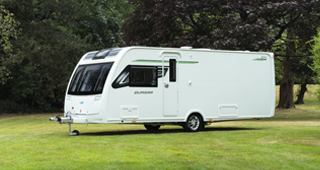 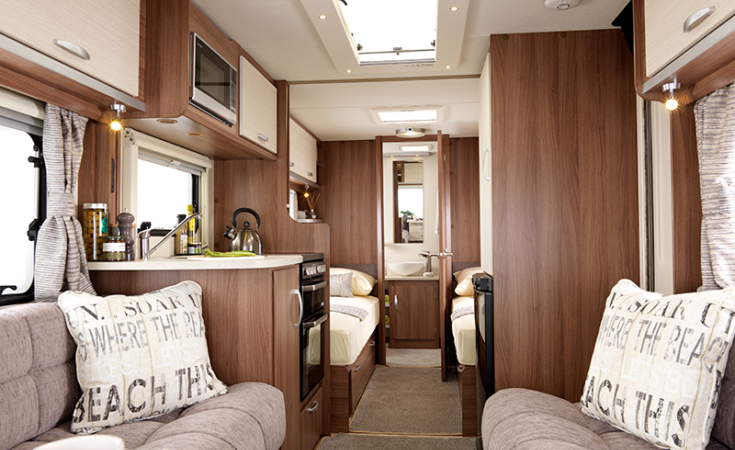 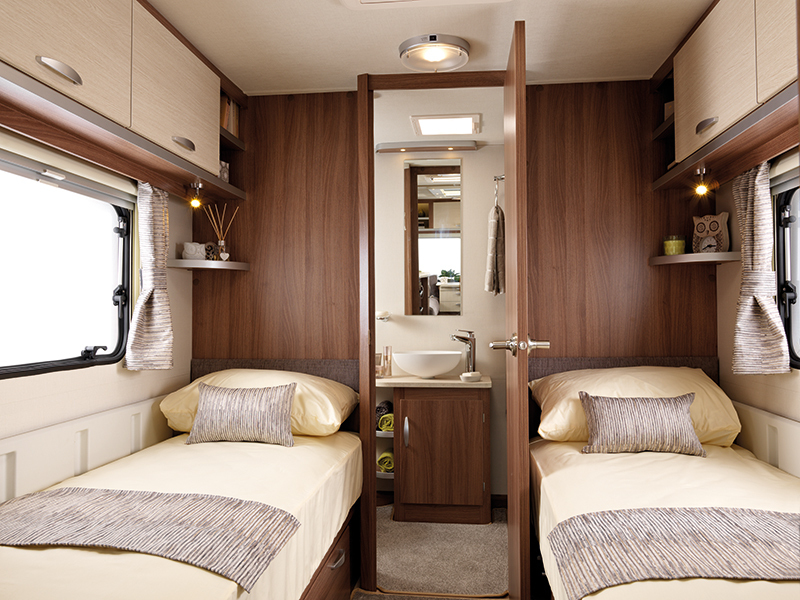 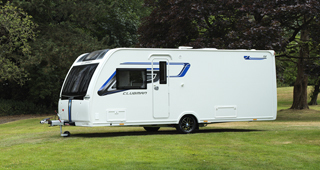 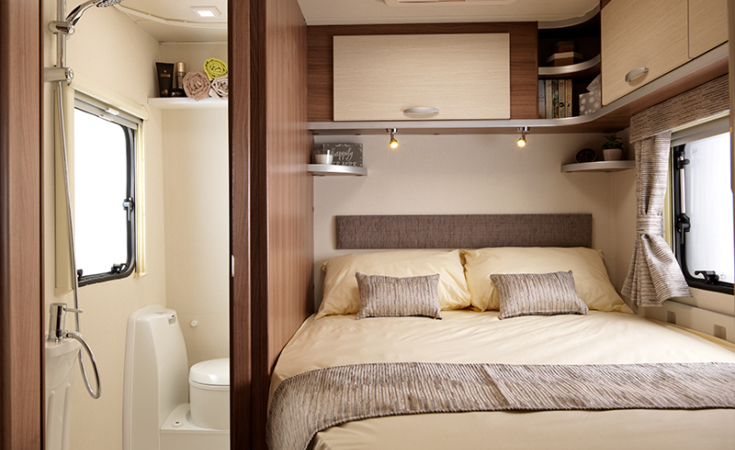 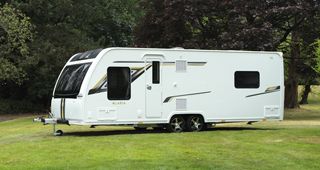 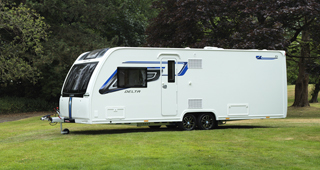 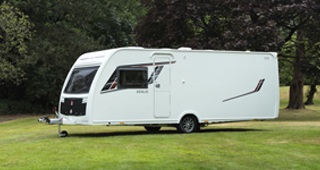 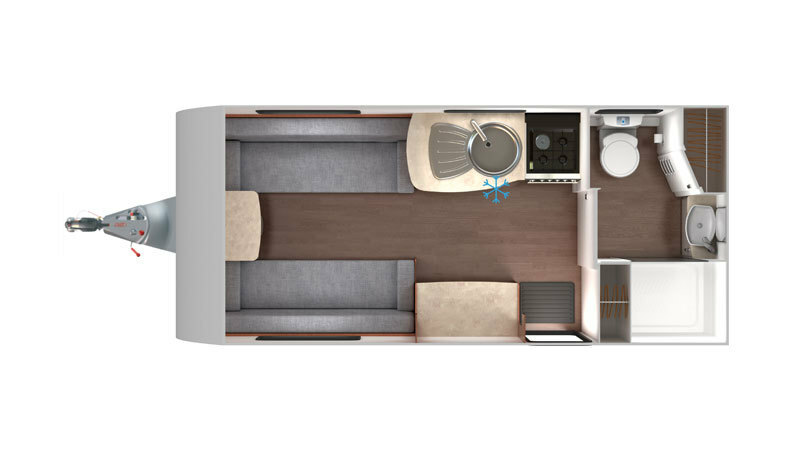 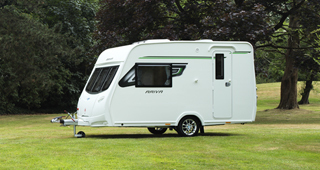 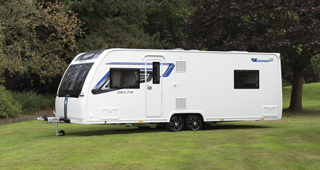 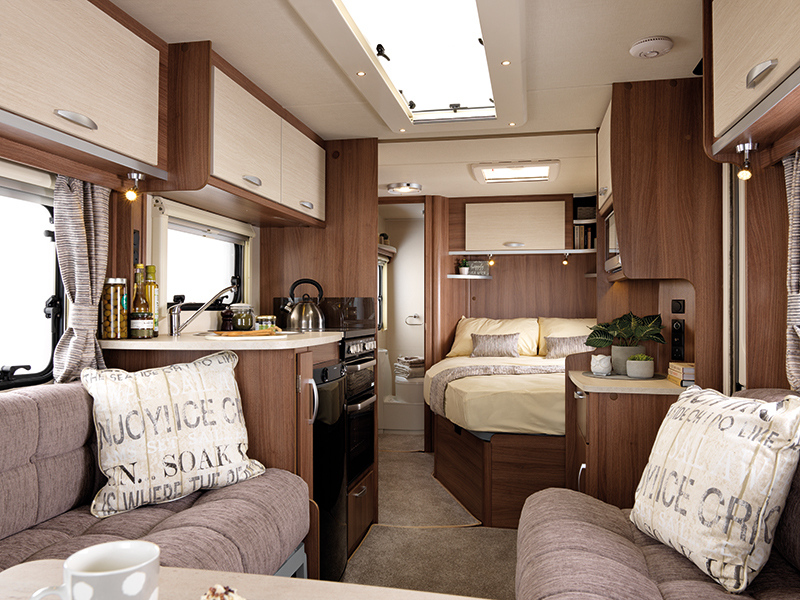 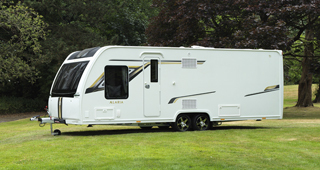 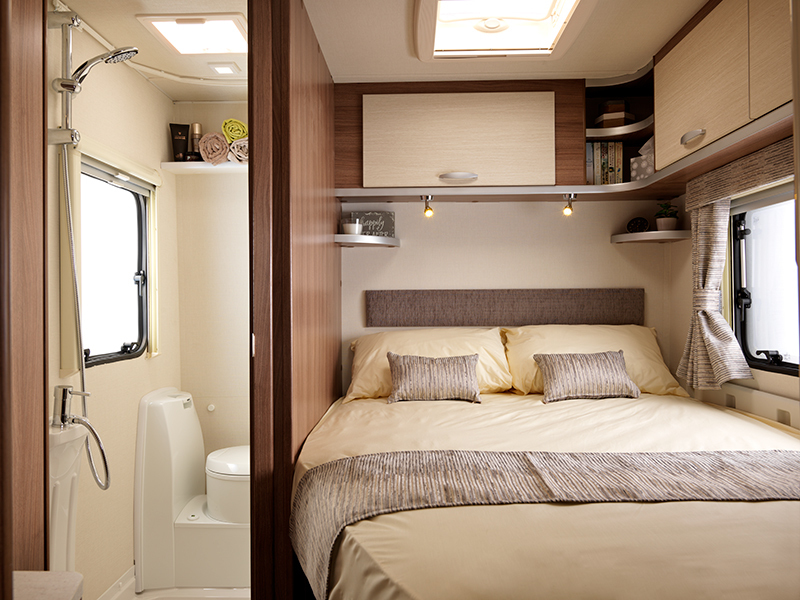 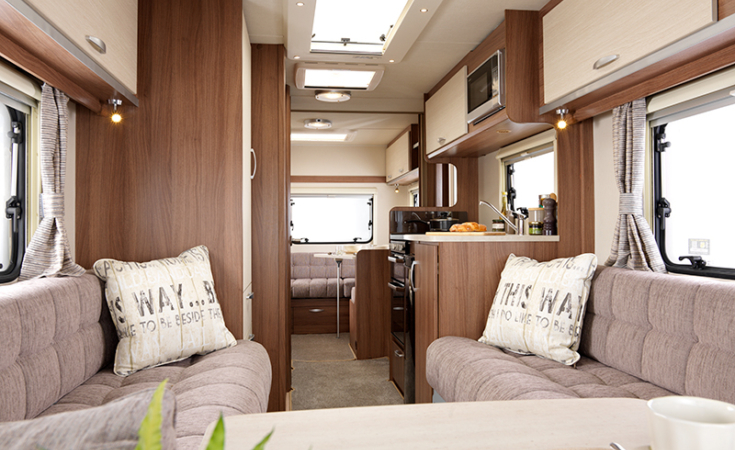 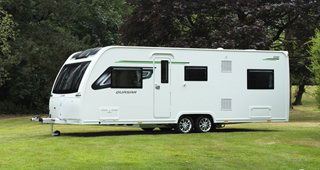 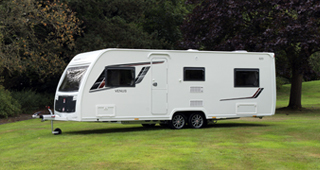 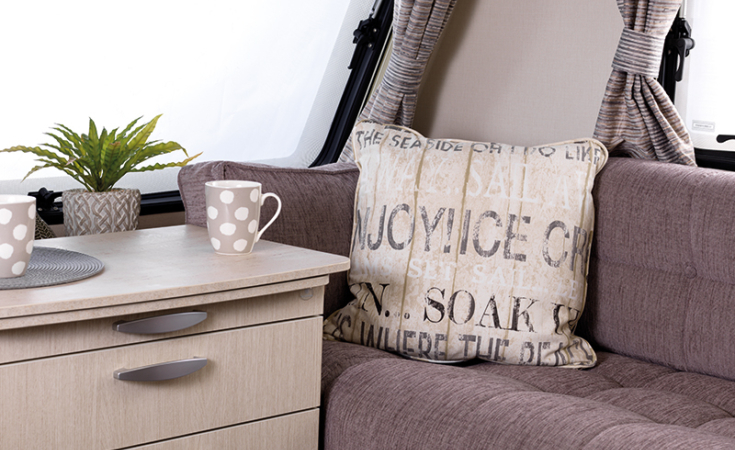 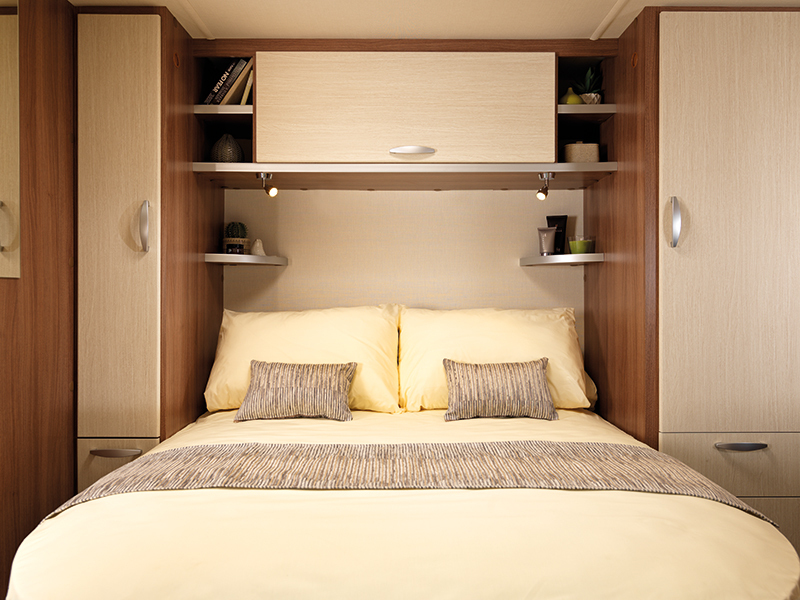 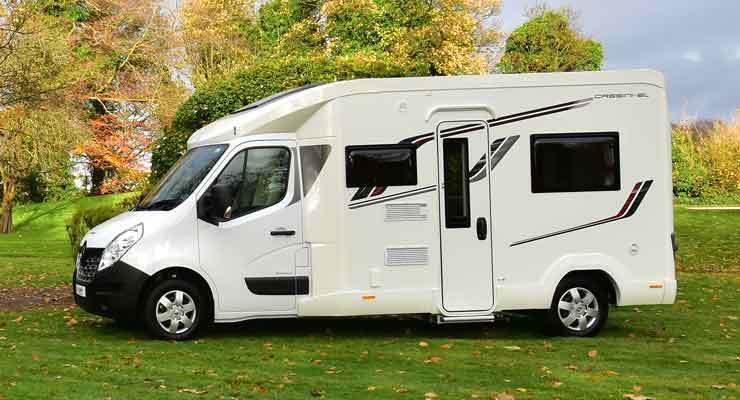 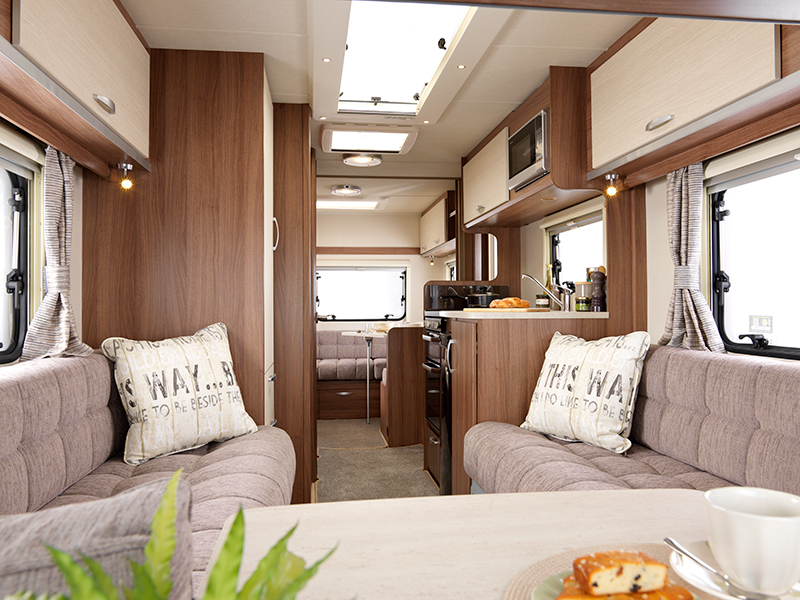 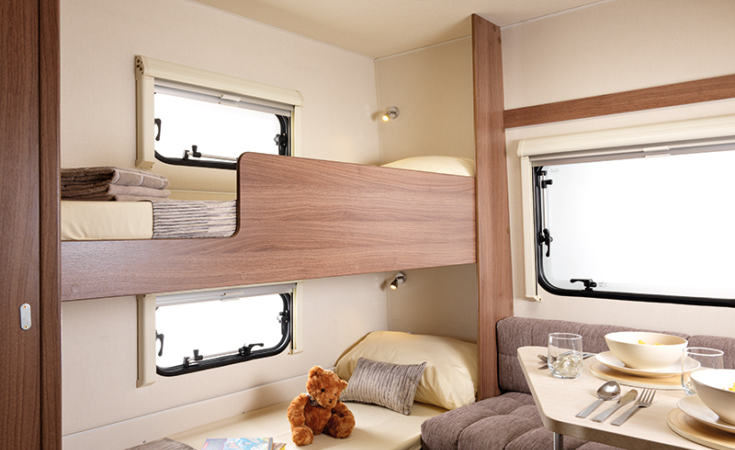 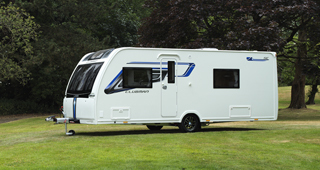 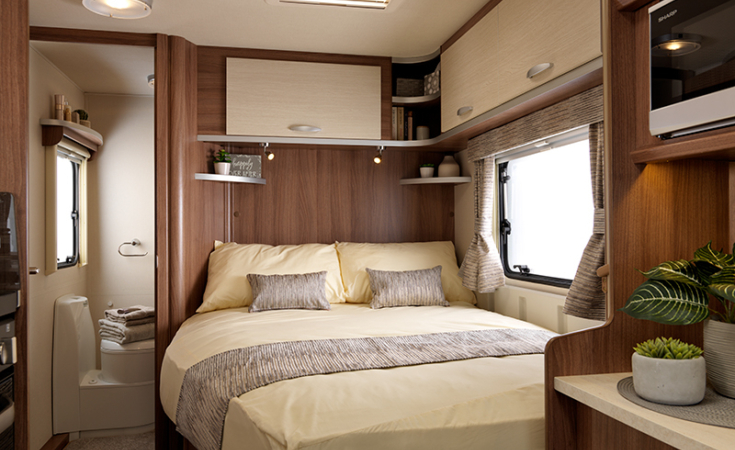 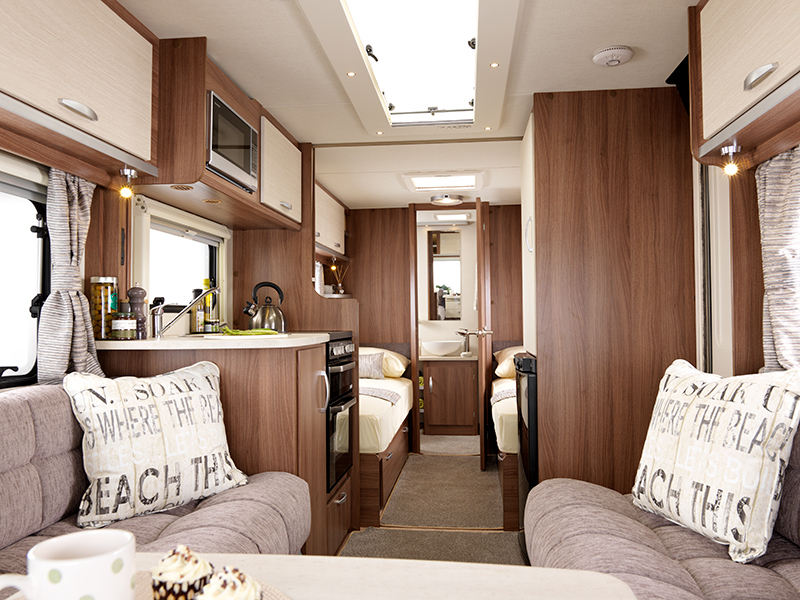 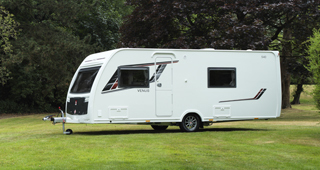 The Venus 460/2 is a 2 berth layout with large front lounge and a spacious end washroom. 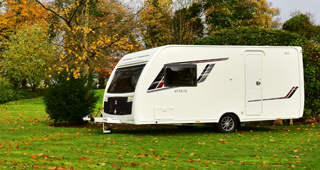 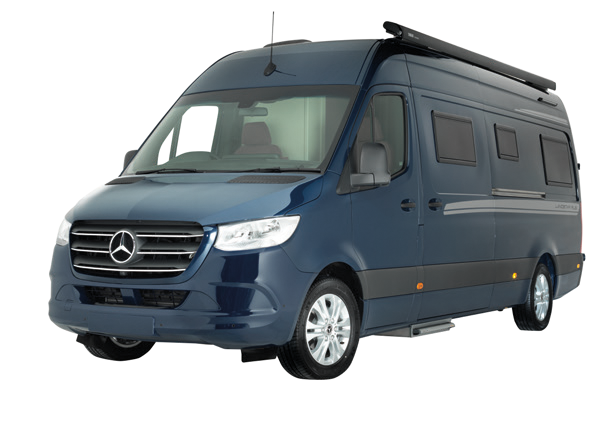 With a host of new exterior features, from the ‘Graphite’ colour gas locker door, decal design and colours and the multi-spoke alloy wheels, this Venus model is sure to turn heads. 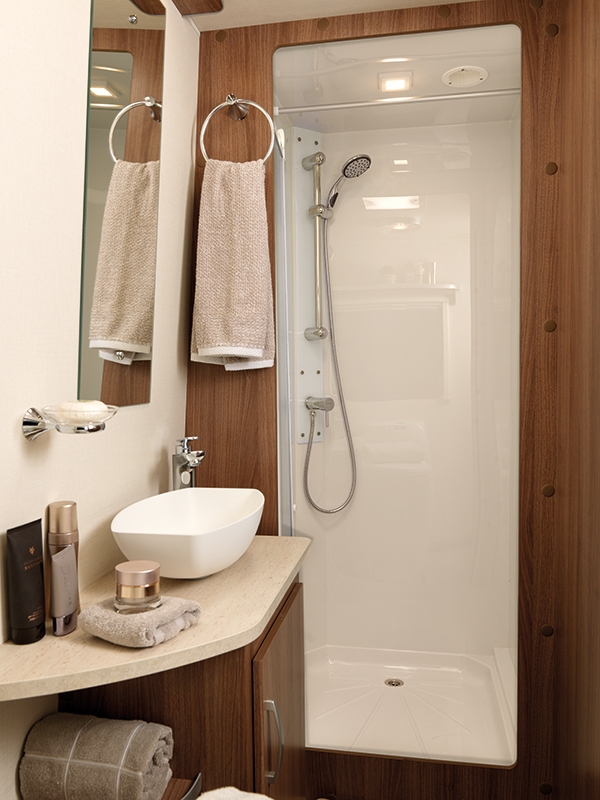 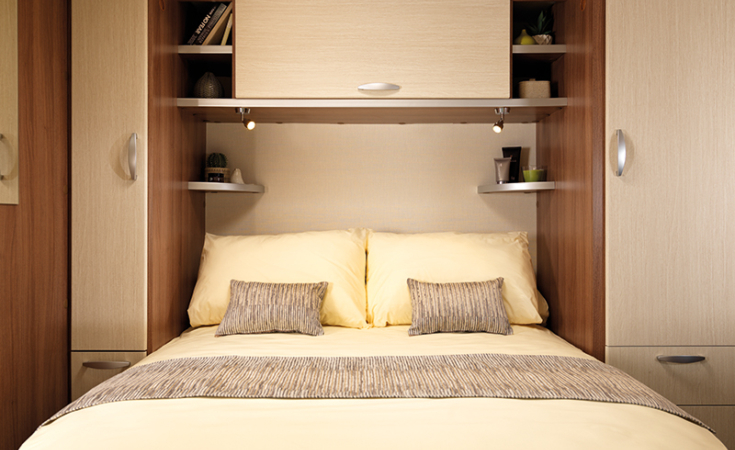 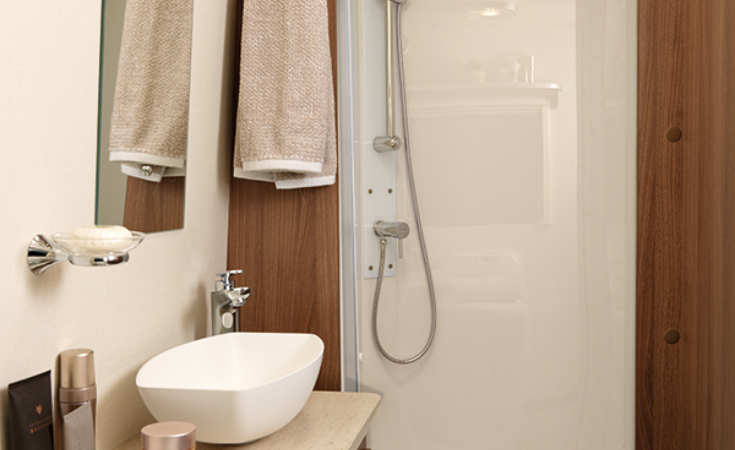 For extra storage we have also added a wet locker with handy power socket plus an external storage door. 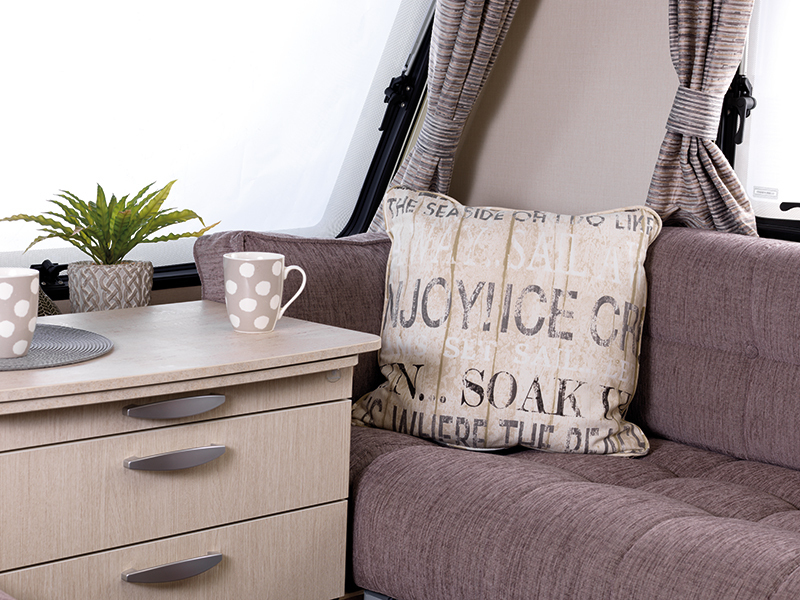 There is a large panoramic window for admiring the view while you get cosy on the new ‘Malawi’ soft furnishings. 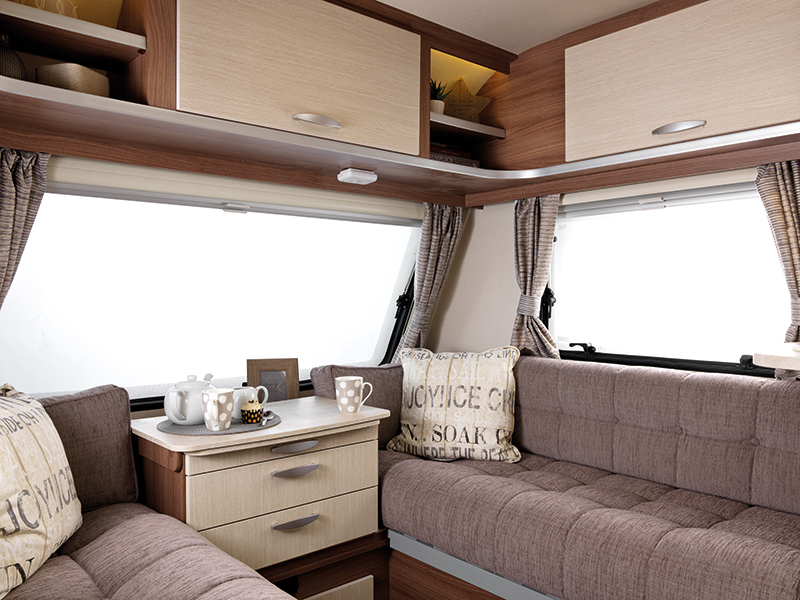 When night falls you can gaze up at the stars thanks to the new ‘Skyview’ rooflight. 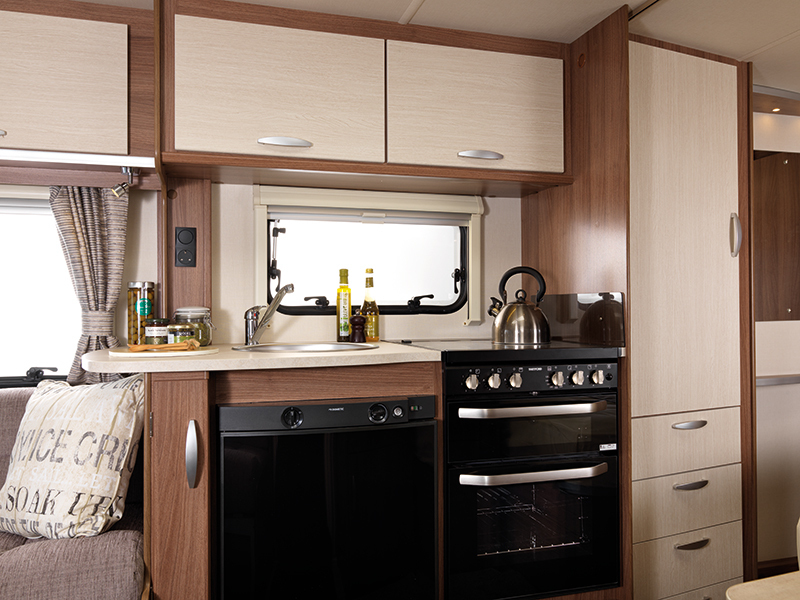 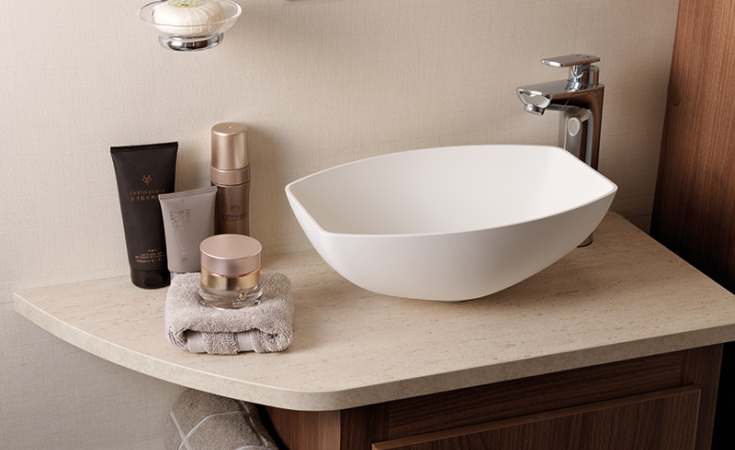 The kitchen area boasts style and space with ‘Brushed Oak’ locker doors and a circular sink. 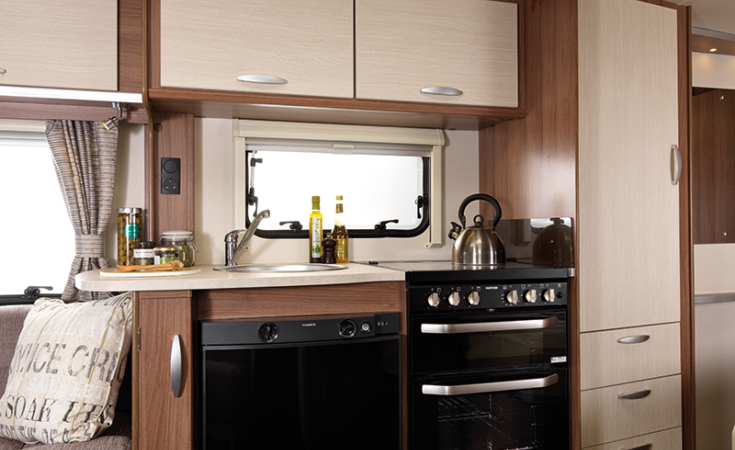 Plus for whipping up a culinary masterpiece there is a new microwave and new Thetford K Series oven with 4 burner hob. 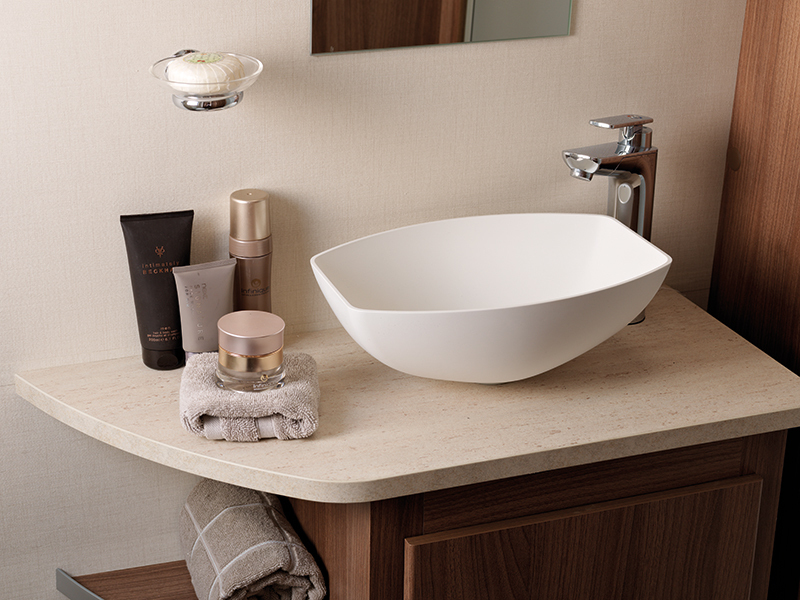 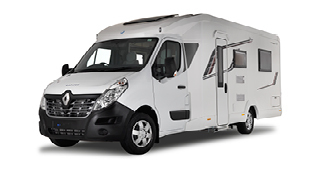 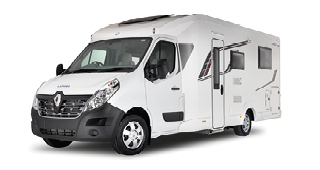 All prices exclude a recommended dealer delivery charge of £525 (including VAT).